It’s usually risky to say “first,” “largest” or “best,” but CAN Capital invites those superlatives and more. Asked whether the company’s the biggest in the alternative funding business, CEO Dan DeMeo hedges only a little with qualifiers like “might” or “probably” before proudly announcing that the company has provided access to more than $5.5 billion in working capital through 163,000 fundings to merchants operating in over 540 different kinds of businesses. 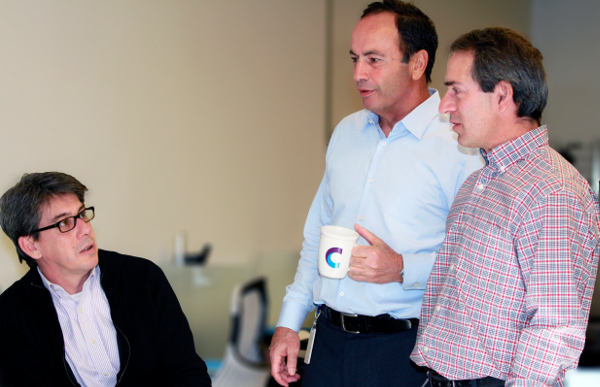 Glenn Goldman, the company’s CEO from 2001 to 2013 and now Credibly’s chief executive, doesn’t mince words about his former employer when he calls CAN Capital the biggest and most profitable small business alternative finance company in the U.S.
Cofounder and Chairman Gary Johnson proclaims without hesitation that CAN Capital was the first alternative small business finance company. His wife and cofounder, Barbara Johnson, came up with the idea of the Merchant Cash Advance in 1998 when she had trouble raising funds to promote her business, he said. CAN Capital developed the first platform to split card receipts between the merchant and funder, and it gave birth to the idea of daily remittances, Johnson continued. Within a few years of its founding the company was turning a profit, another first in alternative finance, he claimed. The innovation continued from there, according to Andrea L. Petro, executive vice president and division manager of Lender Finance, a division of Wells Fargo Capital Finance. She cited a couple of possible firsts she’s witnessed in her dealings with CAN Capital. 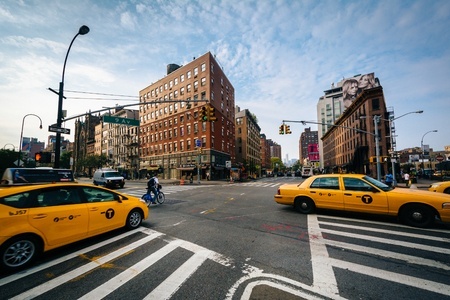 When CAN Capital received a loan from Wells Fargo in 2003, it may have been the first sizeable placement in the alternative finance industry by a major traditional financial institution, Petro said. In 2010, CAN Capital was among the first alternative funders to offer direct loans, she noted. Petro stopped short of characterizing CAN Capital as the best in the alternative finance business, but she praised the company’s management and lauded its systems for underwriting and monitoring funding. “They continually upgrade their systems, upgrade their software, upgrade their people,” she said. Calling CAN Capital one of the best comes naturally to Kevin Efrusy, a partner at Accel Partners and a CAN Capital board member. Accel saw opportunity in alternative finance because banks were reluctant to lend at the same time that an explosion of data on small businesses was informing the underwriting process. When Accel sought a position in the industry, it contacted CAN Capital, he said. “Frankly, CAN Capital didn’t need or want our money,” Efrusy said. “We approached them.” Five years ago, Accel convinced CAN Capital that additional resources could help the company grow, and it bought a stake in the company. 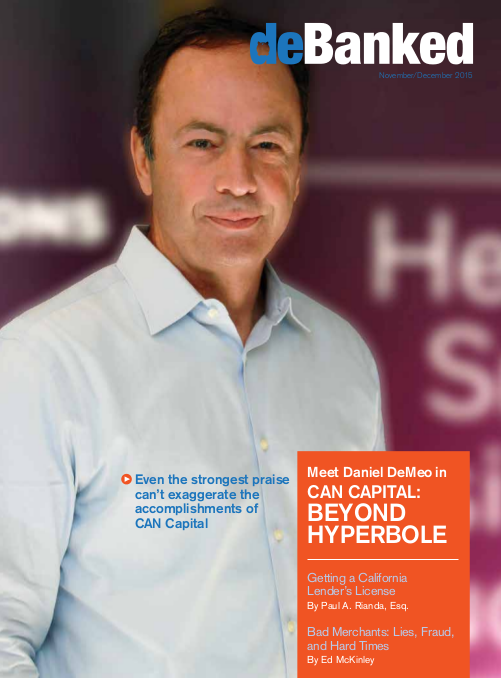 With so many extolling the virtues of CAN Capital, deBanked asked DeMeo for a look at the thinking that underlies the success. CAN Capital pursues a strategy that DeMeo visualizes as a honeycomb. In the center cell, he places the objective of “helping small businesses succeed.” The compartmental element above that provides a place for the goal of serving as “the preferred provider of financial solutions to small business,” he said. The company’s cultural values, summarized as “Care, Dare and Deliver,” reside in the compartment below the center cell as table stake underpinnings, he added. DeMeo also describes the company as driven by four strategic planks: “1) Expand the market, 2) broaden the product set, 3) deepen relationships with customers, and 4) achieve operating excellence,” he said. What does success look like to the company? To DeMeo, it’s dramatic growth in the number of customers, resulting in increased revenue, a more valuable company and better career opportunities. “Digital automation and customer experience are at the center of those efforts,” he said. CAN Capital operates with a “huge appetite for ‘test and learn,’” according to DeMeo. “That’s how we keep innovation alive,” he said. And the result of all that? The company has increased fundings by 29 percent (CAGR) and revenue by 24 percent (CAGR), with corresponding growth in earnings, DeMeo said. It has also grown its digital business by 600 percent since 2014, he noted. 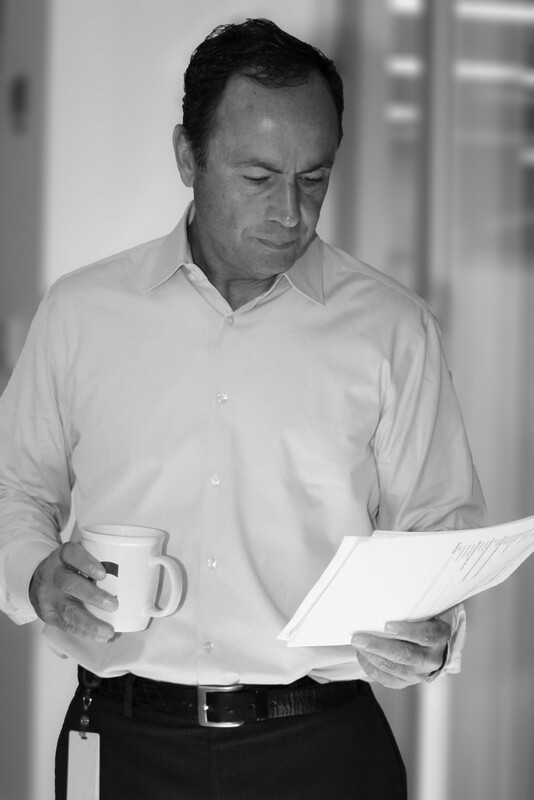 DeMeo, the man at the top of CAN Capital, joined the company in 2010 as chief financial officer and became CEO early in 2013. He was previously CFO at 1st Financial Bank, and also served as CFO for JP Morgan Chase’s consumer and small business unit. DeMeo also was chief marketing officer and ran business development head for GE Capital’s consumer card unit. His career began at Citibank, where he held senior roles in marketing and customer analytics. Experience convinced him, as a CEO, the importance of attention to the balance sheet and income statement. It’s vital to combine that with innovation and growth orientation, DeMeo said. He seeks to lead, inspire and motivate employees, he emphasized. DeMeo grew up in Atlantic City, NJ, with parents who valued hard work, education and maximizing opportunity. His wife and three children have supported him in his career despite the long hours and dedication necessary for success. DeMeo runs the company without the help of a President or Chief Operating Officer. While DeMeo serves as the public face of the company, he also devotes himself to every aspect of operations, he said. Although CAN Capital’s drive for technological innovation and its measured approach to fundings have remained constant, the company has renamed itself several times to fit changing times. 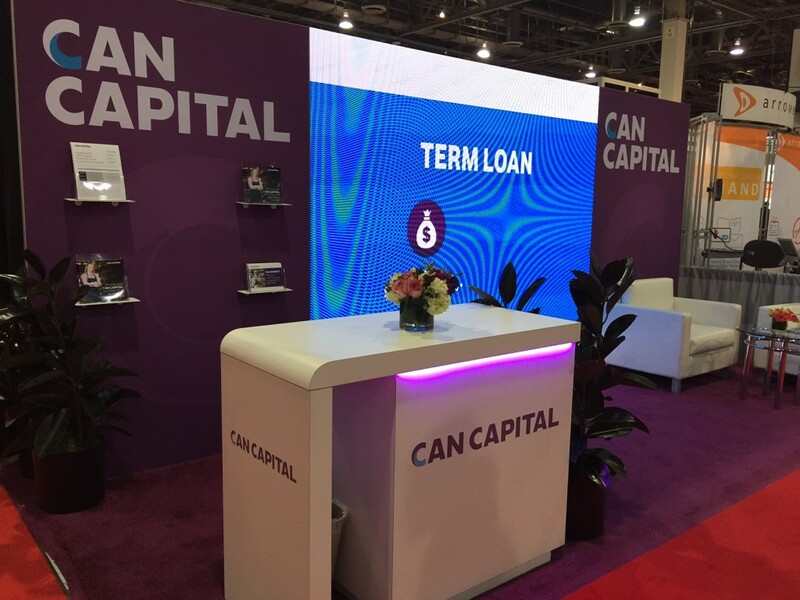 In November 2013, it rebranded itself publicly as CAN Capital, and the company now provides access to business loans through CAN Capital Asset Servicing Inc, and Merchant Cash Advances through CAN Capital Merchant Services. With the CAN Capital rebranding, it dropped the umbrella name of Capital Access Network. At the same time, it retired the AdvanceMe, New Logic Business Loans and CapTap names. Most of the company’s old names applied to products or distribution channels, DeMeo said. The company had added them when it presented a new product, such as loans, or introduced a way of going to market, like end-to-end digital technology. Consolidating the names reflected the company’s decision to put its direct marketing efforts on equal footing with business generated by partner companies, DeMeo said. Having just one name would result in a more efficient approach to building a stronger brand, he noted. CAN Connect is a way to speed up the process and eliminate friction for customers and partners. For example, a partner is able to link their CRM directly into CAN Capital’s decision engine, eliminating manual steps in submitting and generating offers. For partners with a customer-facing portal, CAN Connect enables an offer to be made available in real time to a small business owner, taking advantage of data sharing APIs to tailor the marketing message to fit the prospective customer’s needs. By all accounts, CAN Capital is a company born of necessity. Barbara Johnson, who had the brainstorm that became CAN Capital, was running four Gymboree playgroup franchises in Connecticut and needed funds to finance summertime direct marketing efforts for fall enrollment. But her company didn’t have much in the way of assets to pledge, so banks weren’t interested in providing funds. Why, she reasoned, couldn’t she just borrow or receive an advance against the credit card receipts she knew would flow in when the kids came back in the autumn? Thus, she gave birth to an industry. Barbara Johnson and her husband, direct marketing executive Gary Johnson, cofounded the company as Countrywide Business Alliance and put up their own money to build a computerized platform to split card revenue, Gary Johnson said. Then they persuaded a card processor to partner with them. Once they were operating and had signed their first customer, venture capital began flowing their way to grow the business. These days, the Johnsons remain major shareholders. “What made it an interesting concept was how huge the market potential was,” Gary Johnson said. “That’s what the attraction still is today.” Although Merchant Cash Advances may now seem commonplace, they were startling at first, he said. “When we first went out in the marketplace, everybody thought it was a crazy idea,” he noted. The company earned patents on processing related to Merchant Cash Advances and daily remittances, Gary Johnson said. At first, the patents deterred potential competitors from entering the business, but the company was unable to defend the patents successfully in court. Rivals then entered the fray. Just the same, the company became profitable early on through “deliberate decision-making, having the right people in place and being bigger than everybody else,” he said. Much of the company’s early business came through firms that provide merchants with transaction services, and that remains the case today, DeMeo said. Many were placing point of sale terminals in stores and restaurants to accept credit cards, and working capital became an upsell or cross-sell, he noted. The large base of business CAN Capital built with merchant services companies means it will always be an important channel for the company. Recently, new merchant sign-ups have come from more diverse channels, including cobranded and referral partners, and the fast-growing direct marketing channels. From the beginning, the merchants receiving capital used it to grow their businesses, DeMeo said. “That feeds the whole economic system and creates jobs,” he said. Daily remittances give CAN Capital nearly constant insight into how well customers are performing, which enables the company to discover potential issues quickly and take action. Such close monitoring also provides the company with enough information to enable funding opportunities that competitors might pass up, DeMeo said. “The basis for our decisions is how the business performs and business-specific indicators, such as capacity and consistency, versus looking at the personal credit history of the business owner,” DeMeo noted. The company’s 450 or so employees work in several locations. Three hundred of the total are attached to the office in Kennesaw, GA, the region where the company first set up operations. To this day, that’s where the company conducts most of its business, DeMeo said. About 25 employees work in technology and operating support in offices in Salt Lake City because the area offers a strong talent pool and provides the company with additional time zone coverage, DeMeo said. Some of the company’s former executives came from Western Union, which had a presence in Costa Rica. About a hundred employees are now stationed there, working on technology, maintenance and development. That location also houses back-office redundancy for the company, too. Compared with most companies in alternative finance, CAN Capital has little venture capital as part of its ownership structure, DeMeo said. “It’s a self-sustaining business. We’re not forced to approach the capital market to cover our burn rate. We’re cash-flow positive.” Competitors have to borrow to fund their growth, he noted. The company has taken on infusions of debt financing, not equity financing. In the latter, a company is selling part of itself, DeMeo said. “We raised $650 million from a syndicate with five new banks and 10 banks in total.” The company completed a securitization of $200 million the year before, he said. CAN Capital recently introduced the new TrakLoan product that has no fixed maturity date, with daily payments that are based on a fixed percentage of card receipts. This way, payments ebb and flow with the merchant’s card sales. CAN Capital is also testing “bank-like” installment loans of as much as $500,000 with a payback period of up to four years. And there’s nowhere to go but up, in the view of CAN Capital executives. With a market of 28 million small American merchants and penetration of between 5 and 10 percent, they see plenty of potential to keep earning superlatives.